IT security professionals rank third-party application vulnerabilities as the greatest security risk of 2012. And yet malware continues to exploit these – and other – vulnerabilities to breach our defenses. Clearly there’s a disconnect between knowing the problem and solving it. Yet it does not have to be this way, if we intelligently apply adequate protections against the exploitation of these vulnerabilities. 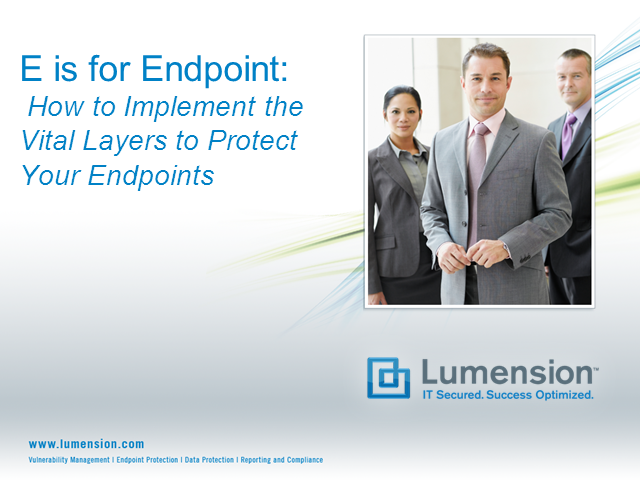 •What are the vital layers of your endpoint defense. •How to thwart exploitation of your endpoint OS, configuration and 3rd-party application vulnerabilities. •How to prevent unknown applications from executing on your systems.